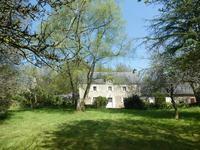 An excellent renovated 6 bedroom farm house, successfully operated as gite, with enclosed . . . This is a stunning, stone farm house providing 4 bedrooms and offering good living space with . . .
A delightful detached stone longere with 6 bedrooms, a separate studio gite and a swimming pool set in a rural area, close to Melrand. This south facing property is located in a small rural hamlet and surrounded by fields and . . .
A renovated, spacious 4 bedroom stone longere with barn and huge outbuilding located near to Melrand. This wonderful property with quality accommodation offers huge potential if ever you wish to . . .
A fantastic opportunity to acquire this beautifully designed modern house, ideally situated, . . . This much loved, detached, spacious Mediterranean feel family house is situated near the town . . . This large house, located along a quiet road, is composed of 8 rooms. On the ground floor, . 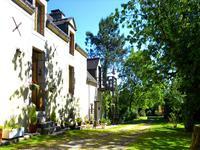 . .
Splendid property, outwardly a 'Maison de Maitre, situated on the outskirts of a beautiful . . .
A beautiful little stone 2 bedroom house with enclosed garden, garage and private parking situated in a pretty Breton hamlet. This 2 bedroom stone house is bursting with character. It has a ground floor bedroom, . . .
A remarkable and quite impressive 4 bedroom neo Breton house with heated swimming pool, garden and close to Quistinic. This beautiful property is quite deceptive in size as the open plan layout is light and . . .
A charming, 17th century traditional Breton longere with adjoining gite, outbuildings and large garden close to Bieuzy les Eaux. 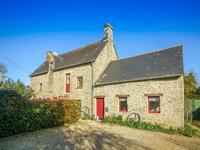 The main house is a stunning 17th century, traditional Breton longere with the upper floor . . .
7 bedroom maison de maître plus gite. This fantastic property sits proudly in its own grounds of 7000m2 of land on the edge of a . . . Superb renovated, stone, 3 bedroom, longere situated in a small rural village near to Bubry. A superb farmhouse longere renovated with great taste in a typical rural village! Very nice . . .
A wonderful, restored farmhouse with two adjoining gites, a swimming pool and land set in a quiet hamlet near to QUISTINIC. This excellent property has been beautifully restored and comprises a main house and two . . .
A superb two-storey, 4 bedroom stone farmhouse with 18ha of woodland situated in a conservation area in the heart of South Morbihan, close to Bubry. This converted farmhouse, built in 1847 with dressed stone façade and an attached fully . . .